The present treatise is a critical study of the different systems of Indian Philosophy. The study is based on the original sources, and its principal value lies in their interpretation. On almost all fundamental points the author has quoted from the original texts to enable the reader to compare the interpretations with the texts. The book is divided into 20 chapters. 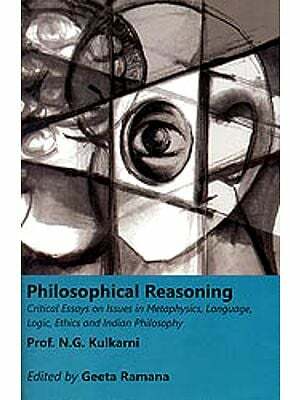 It opens with the survey of Indian philosophical thought as found in the Vedas, the Upanisads and the Bhagavadgita (chs. 3-5), Sunyavada (chs. 6-8). 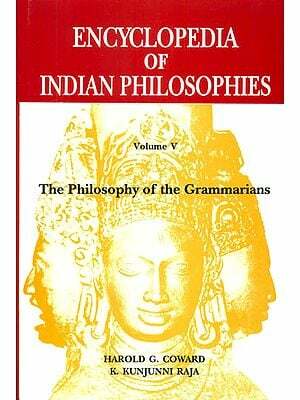 It expounds the tenets of the six systems of Indian Philosophy (chs. 9-13) with special reference to Sankara, the pre-Sankara and post-Sankara Vedanta (chs. 14-16), and the essentials of Buddhism and Vedanta in comparison and contrast (ch. 17). It also discusses the doctrines of Vedanta as interpreted by Ramanuja, Madhva, Nimbarka, Vallabha, Caitanya and Aurobindo (chs. 18-19). There is a clear exposition of Saiva Siddhanta, Kashmir Saivism and Sakta Schools (ch. 20). An exhaustive Bibliography and general Index add to the value of this work. Professor Dr. Chandradhar Sharma is a well-known name in the area of philosophy. He enjoys international reputation as an eminent scholar of Indian and comparative philosophy. After serving Banaras Hindu University for twelve years he was invited to the Chair of Philosophy in the University of Jabalpur which he occupied for about twenty years. He has been a Visiting Professor to U.S.A., U.G.C. and in the University of Allahabad. His other works in English include ‘Dialectic in Buddhism and Vedanta’ and ‘The Advaita Tradition in Indian Philosophy’ and in Hindi, ‘Bharatiya Darshan: Alochan Aur Anushilan’ and ‘Pashchatya Darshan’. My main aim in this work has been to give a clear, comprehensive and critical account of the various systems of Indian philosophy. It is hoped that the book will be found useful by all those who want a clear and accurate exposition of the development of Indian philosophical thought in one volume which is neither too small nor too big. I shall feel amply rewarded if it arouses a genuine interest in Indian philosophy. The work is based on my study of the original sources and on my lectures to the post-graduate classes in the Banaras Hindu University for a number of years and I must accept responsibility for the interpretations. On almost all fundamental points I have either quoted from the original texts or referred to them to enable the interested reader to compare the interpretations with the texts. Throughout the exposition of the different systems which involves criticism, and evaluation, I have tried to be fair and impartial to them and to present many difficult and obscure points in as clear and correct a manner as I could. Ignorance of Indian philosophy, specially of Buddhism and Vedanta, is still profound and has given rise to un-informed or ill-informed accounts and misleading criticisms. It has been my aim to remove such misconceptions. Honest difference of opinion in interpretation is legitimate in philosophy, but it does not entitle us to impose our own preconceived notions on a system which are repelled by its original texts. The work is only an outline of a vast subject and has no pretensions to completeness. In the chapters dealing with Mahayana Buddhism and Advaita Vedanta, I have incorporated substantial material from my thesis on ‘Dialectic in Buddhism and Vedanta’ approved for the degree of Doctor of Philosophy by the University of Allahabad. I have also incorporated some relevant material here and there from my thesis on “The Reign of Dialectic in Philosophy - Indian and Western’ approved for the degree of Doctor of Letters by the University of Allahabad. It is a pleasure to acknowledge my obligations to the eminent scholars who or whose works have been a source of help and inspiration to me. I have derived much help from the works on Indian philosophy by Dr. S. N. Dasgupta, Prof. M. Hiriyanna and Dr. S. Radhakrishnan. I am deeply obliged to Prof. A. C. Mukerji (retired Professor of Philosophy, Allahabad University) for his kind help and affectionate encouragement. I record my profound obligations to Prof. R. D. Ranade, Prof. H.D. Bhattacharyya and Dr. Amaranatha Jha who are no more with us now. 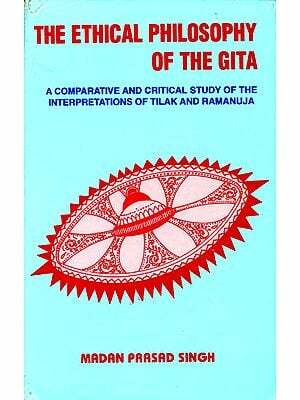 This work under the title A Critical Survey of Indian Philosophy was published in 1960 by Rider & Company of the Hutchinson Publishing Group Ltd., London. Its American edition under the title Indian Philosophy: A Critical Survey was brought out in 1962 in ‘University Paperbacks’ by Barnes and Noble, Inc., New York. The Publishers of this work in India are Motilal Banarsidass, Delhi. It is a pleasure to know that the work has been very well received and has run into several editions and imprints.